Kick off the 2012 edition of Expozine the right way! 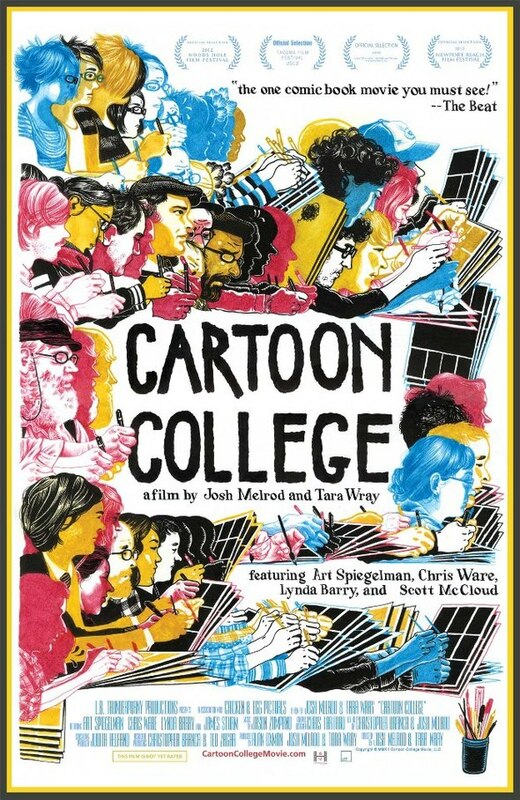 Join us for a screening of select scenes from the brand new documentary, Cartoon College! Learn what it takes to take charge of your own career in comics! Members of the Expozine organizing team will also be on hand to explain the benefits and challenges of self-publishing. Zines from the discussion's participants will be available for sale. Also, Expozine itself will take place November 17 and 18 from noon to 6, free admission, at 5035 St-Dominique, a few blocks south of the bookstore. Now in its 11th year, Expozine has become the largest small press fair in North America, bringing together over 275 creators of all kinds of publications -- from books to zines to graphic novels -- in both English and French. Visit www.expozine.ca for more information. Well worth your while! We Drawn + Quarterly types will be tabling, along with so many amazing writers and artists and small presses!